HeveaBoard Berhad Obtained PEFC Certification For Its Good Practice In Sustainable Forest Management. 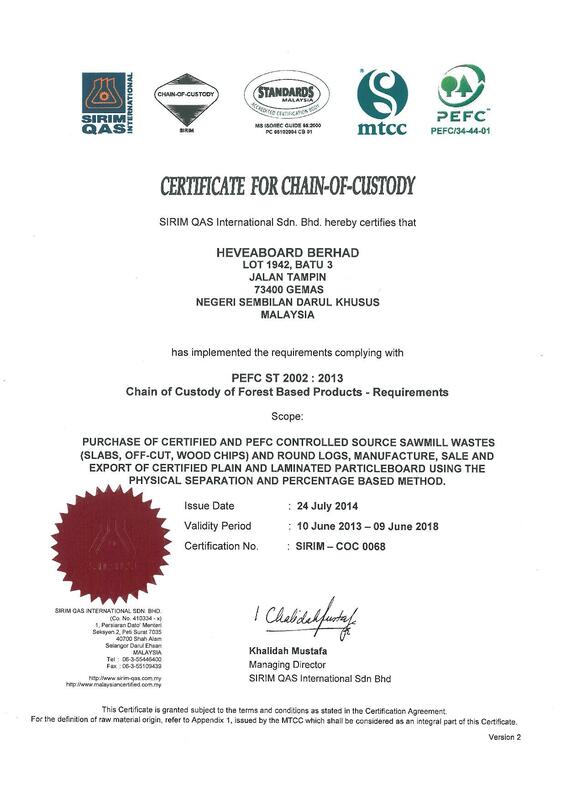 HeveaBoard Berhad successfully obtained PEFC certification for its good practices in sustainable forest management in which complying with PEFC requirement to ensure timber and non-timber forest products are produced with respect for the highest ecological, social and ethical standards. 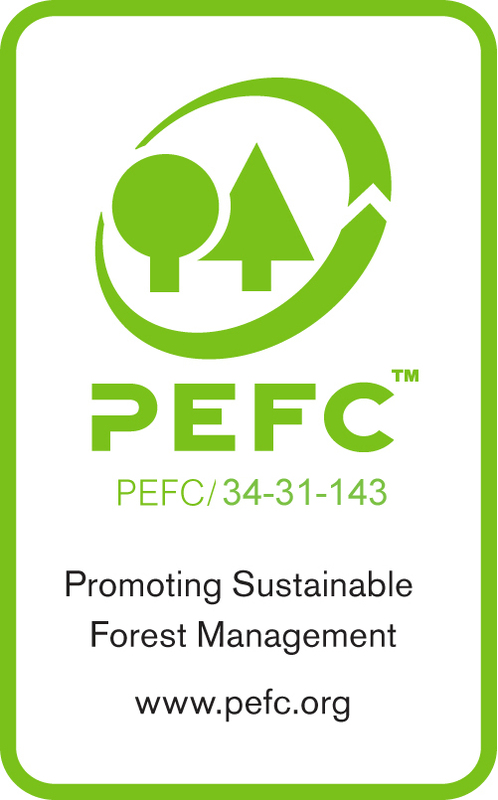 By identifying the PEFC logo, customers and consumers are able to identify products from sustainably managed forests. The Programme for the Endorsement of Forest Certification (PEFC) is an international non-profit and non-governmental organization. Its main objective is to encourage and promote Sustainable Forest Management (SFM) through independent third-party certification such as Malaysian Timber Certification Council. To learn more about PEFC, click here. To browse for the information of certification, click here.